I love giving books as gifts. When my nephew was born, I knew I wanted to become known as "the aunt that gives books." He might not have figured out the pattern in his 22 months, but he will ... he will. A great upside to giving new books is that there is less of a chance that your recipient already owns the book. Plus, who doesn't love the smell of a brand new book? Although this list is focused around picture books, many are appropriate for a wide-range of readers (even adult readers!). 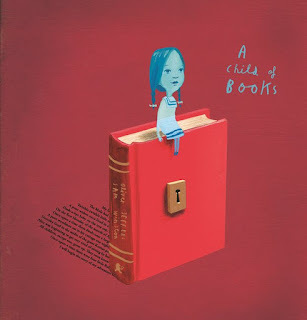 Child of Books written and illustrated by Oliver Jeffers and Sam Winston. This one is a fabulous meta-journey about the power of books and being a book reader. 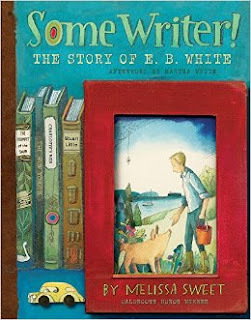 The illustrations incorporate lines and pages from famous "classic" books, whose titles and authors appear in the endpapers. It's great fun to read the different selections and speculate about why certain books are used where they are in the story. Whoosh! 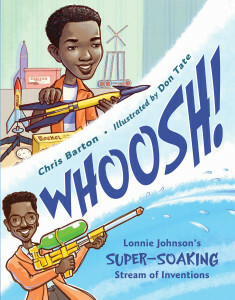 Lonnie Johnson's Super-Soaking Stream of Inventions illustrated by Dan Tate and written by Chris Barton. I love this new nonfiction biography of Lonnie Johnson, and it's a great message about following your passions despite setbacks. The book does a great job of connecting Lonnie's interests as a kid to his future plans, as well as showing the ups and downs of a real career. Definitely a book I will use with kids in the future! Want to actually be the coolest gift-giver on the block? Pair this with a real-life super soaker! 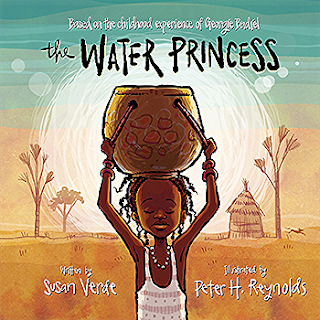 The Water Princess, illustrated by Peter H. Reynolds, written by Susan Verde, and based on the childhood experience of Georgie Badiel. This is a charming story about a young girl's life and the difficulties of not having ready access to water. The book also contains detailed backmatter about the issues and the actual life (and childhood) of Burkina Faso native Georgie Badiel. Reynolds uses a vibrant palette to bring this book to life, as well as his signature sense of fun and use of loose lines. 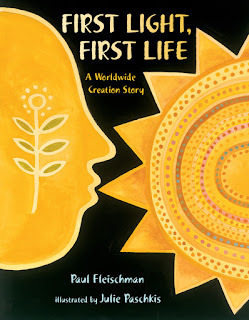 A great one for a kid interested in world issues. 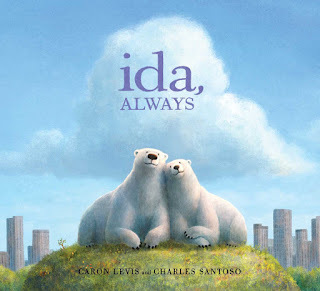 Ida, Always illustrated by Charles Santoso and written by Caron Levis is a powerful story about death, both impending death and the grief that follows. Having lost a close family member this summer, this book hit my hard, but it was very beautifully done. I did manage to make it through without crying while reading it aloud to my students, but you could have heard a pin drop in the room when we finished. Powerful. It's also written in a really child-appropriate way that could lead to great conversations even with young children. Return (2016) by Aaron Becker. It's here, it's here! The glorious and satisfying conclusion to the trilogy begun with Journey [a Caldecott Honor book] and continued with Quest. 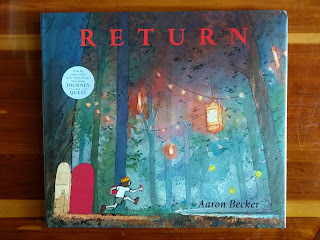 Return brings a new character into the fold - the girl's father, who begins the story by ignoring her kite-flying pleas. I was so pleased with how this story ties the whole series together, and the whole trilogy would make a great gift too. Some Writer! The Story of E. B. White (2016) by Melissa Sweet. I need to write an ode about how much I love Melissa Sweet. Her scrapbooky style of artwork is always so inspiring, and she did an amazing job incorporating so many actual photographs and ephemera from the White family. This biography seems like an instant classic for anyone who loves and appreciates the stories of E. B. White. As a teacher, one of my favorite insights was the inclusion of multiple (wildly different) drafts of the opening page of Charlotte's Web. So much insider information! 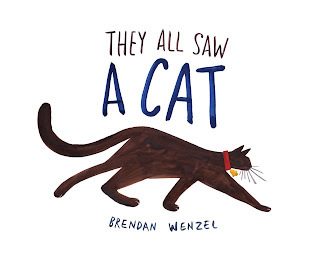 They All Saw a Cat illustrated and written by Brendan Wenzel is an incredible take on the idea of perspective and multiple points of view, and I love the different styles and feelings of the artwork throughout this book. I read in an interview the Brendan did significant research about the different ways that animals see in preparation for this book too. 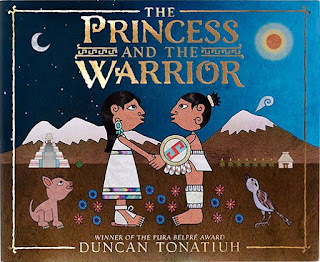 The Princess and the Warrior: a tale of two volcanoes illustrated and written by Duncan Tonatiuh. This classic legend from ancient Mexico has roots in the Aztec and Tlaxcalan cultures, and Duncan has also included a connection to the Mixtec codices which inspired his signature artistic style. The artwork is incredible, and the story reads like a Shakespearean tragedy. This is a wonderful book for any lover of traditional tales and star-crossed lovers. 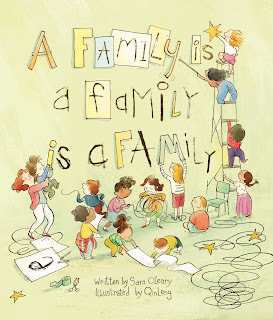 A Family is a Family is a Family (2016) by Sara Cleary and illustrated by Qin Leng. This celebration of families also highlights some of the ways that well-meaning but poorly conceived "family"-based activities can isolate some children in our classrooms. 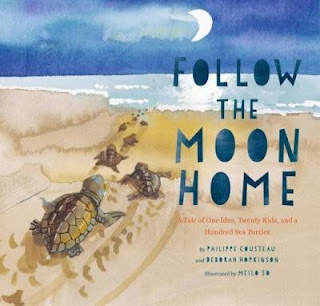 Books like this are a great way to make sure all children - and all families - are honored. 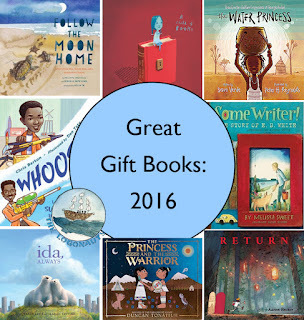 What books will you be gifting this year? Katie do you have these books at school? I'd like to see Child of Books, Return, the family book and Some Writer. Yes, I personally have Child of Books and Return. The school library has Some Writer!, and A Family is from the public library. I'm so glad you shared this link with me. 13 years later, I'm the "Aunt who gives books." :) I love how you organized this list by traits. This is inspiring for the next time I write as an Auntie. Thanks, Kendra! Picture books are beyond just age levels, so I wanted a different way to organize my thoughts about them.